Today’s Advent Calendar blog post proves that railways can be more than a match for the Coca Cola™ “Holidays are Coming” commercials! 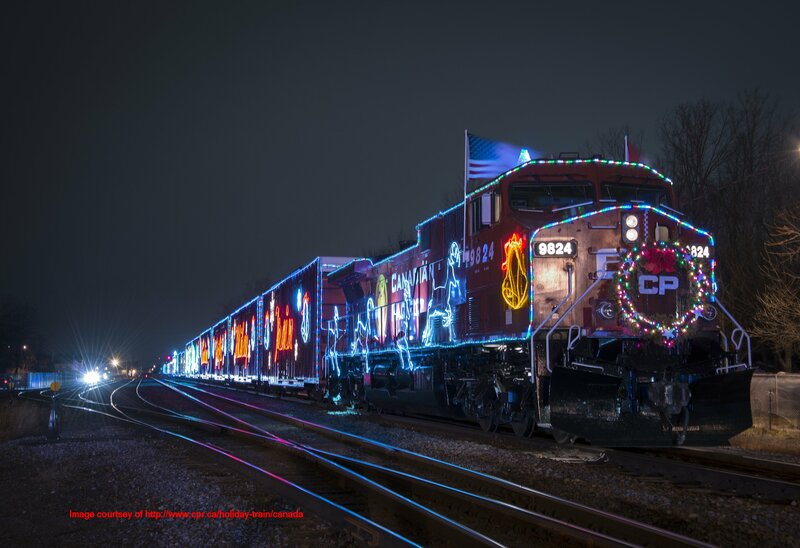 The Holiday train has been run by Canadian Pacific since 1999 as a charity fundraiser, delivering food and cash in the USA and Canada. Please check out their website www.cpr.ca/holiday-train/canada or go to their Facebook page to find out more. Image has been used with kind permission of the non-profit organisation. ← A Little Further Down The Line!